Here for your consideration is a lovely milk glass double handled open sugar made by Westmoreland in the Paneled Grape pattern. This pattern was quite popular in the 1950s and 60s and is still quite popular today. This wonderful throwback to the 50s stands approx 3.25 inches tall. It is in excellent condition with no chips, cracks, or fleabites. 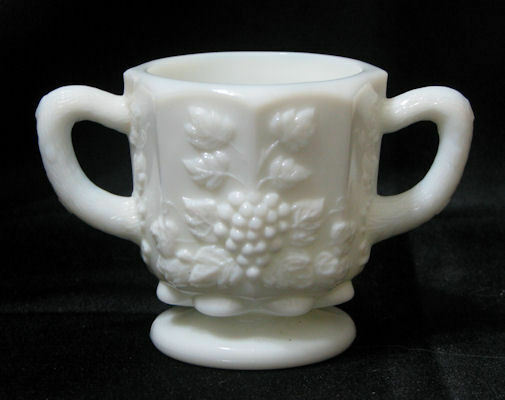 A wonderful addition to your milk glass, westmoreland or paneled grape collection.